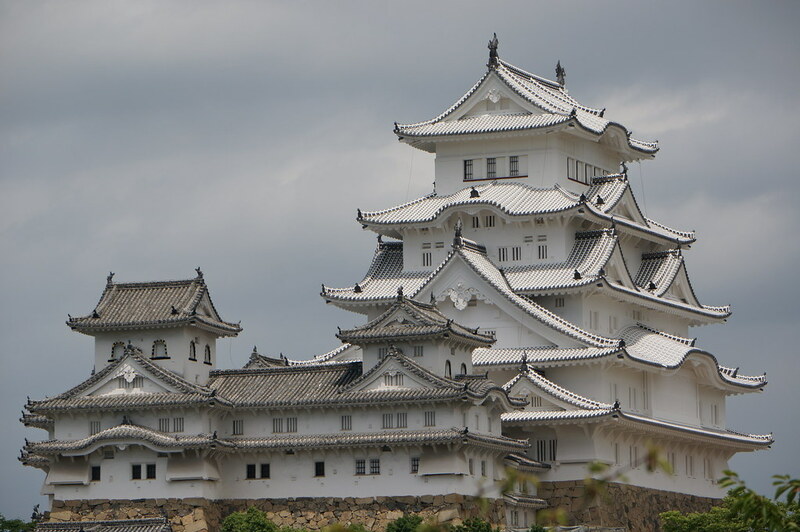 Himeji is a city famous for its castle. 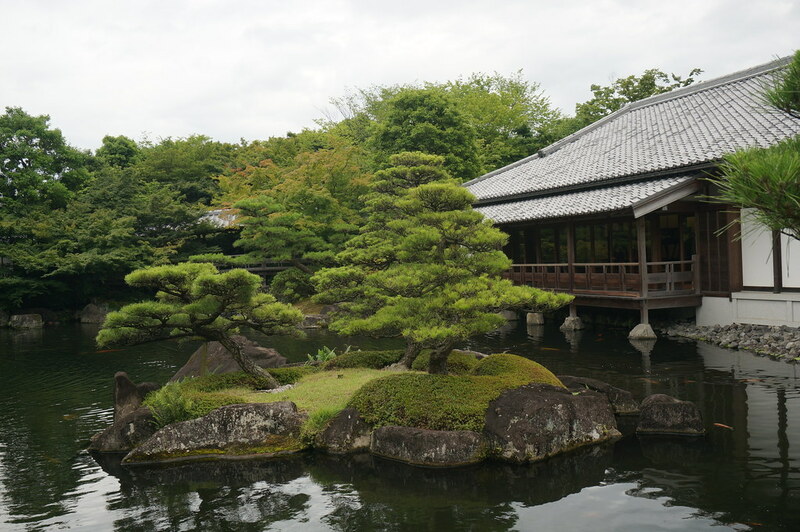 Located about two thirds of the way between Hiroshima and Kyoto it is conveniently located for a day trip en-route to Kyoto. 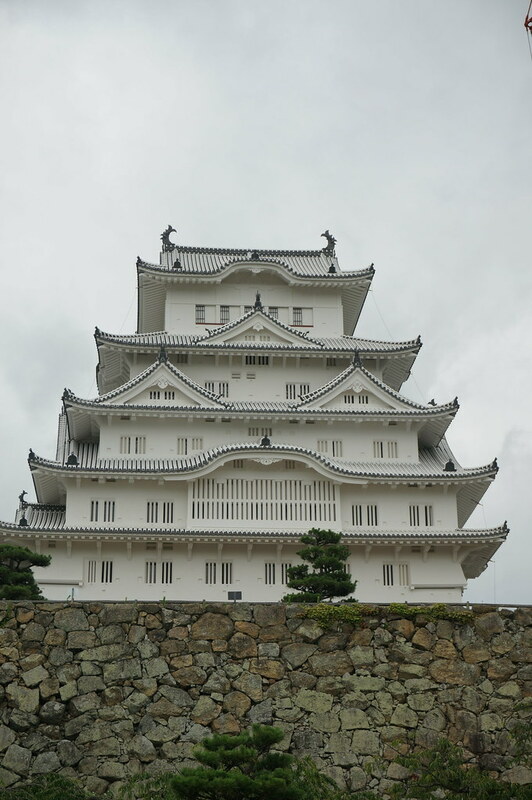 We decided to stay the night in Himeji as it was a Saturday and Kyoto hotel prices were far higher than the Himeji. Kyoto was only an hour away so we could easily make the journey in the morning. The walk from the train station to the hotel was short. That’s the great thing about Japan over China, the cities are much smaller and easier to get around. In China when there’s a green man at the traffic lights that doesn’t mean it’s safe to cross the road, it means it’s slightly less dangerous than it was. Cars can still drive over a crossing with a green man. In Japan these very basic rules are obeyed and walking around is much safer and better for it. At the hotel, as always, we had to leave our bags in reception because it was before 3pm. 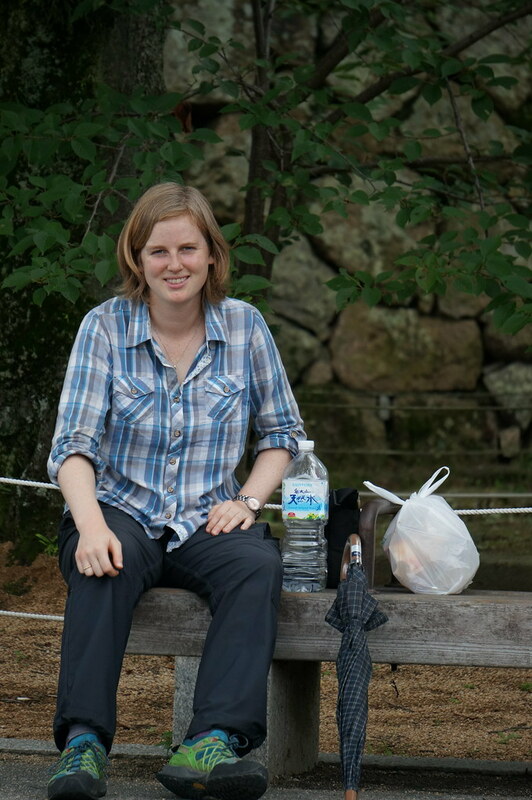 We went to the Seven Eleven to buy a quick lunch then went to the castle grounds to sit in the park and eat. 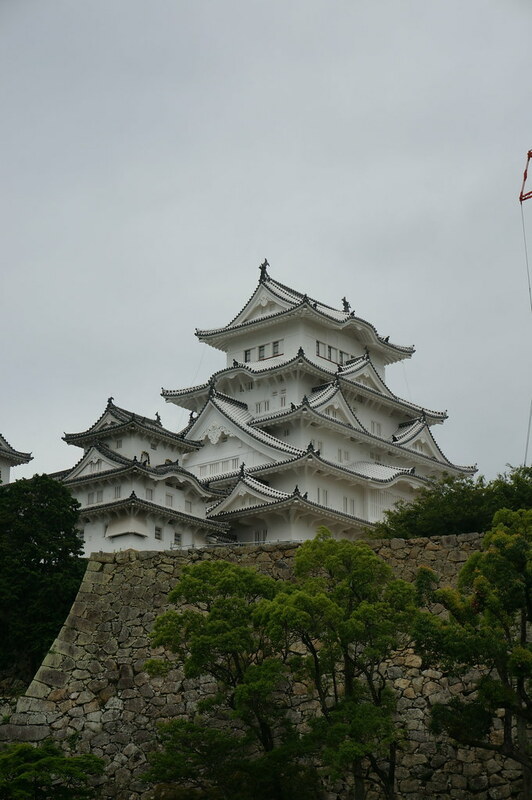 For the last few years Himeji castle has been undergoing restoration and was covered in scaffolding. Very recently, maybe less than a month ago, the scaffolding was removed. The castle keep is still closed as work continues inside but from the outside it looks great. Inside the castle grounds we walked around the gardens and into the long corridor. This was built as both a defensive structure and a place for the prince and princess of the castle to live. It’s a long structure following the edge of hillside and consists of a corridor running the full length of one side and rooms on the other side. The rooms had boards detailing the history of the castle and all the people who had built it up and lived in it. But it was too much information and we forgot most of the detail… As we neared the end of the corridor an old man wearing a volunteer badge approached us and asked if we were in a hurry. We were hesitant to respond because everywhere else on this trip accepting to go with a local guide will result in handing over lots of cash and been well and truly ripped off. But this is Japan, it’s different here (so we hoped), so we said we had plenty of time. He took us into a room and with the use of the boards he explained the family tree and how the castle ended up in the hands on who it did. His English wasn’t great and we struggled to understand him at first. The main reason he wanted to talk to us was to practice his English. He led us around for about 15 minutes explaining things and showing us things we wouldn’t have seen. Then he showed us photos of other parts of Japan. He sounded impressed when we listed the places were planned on going to. At the end he gave us each a paper Shuriken used by ninjas in the past and wished us well. This is excellent, just a volunteer wanting to help tourists understand the history of the castle better and asking for nothing in return. A first on this trip! 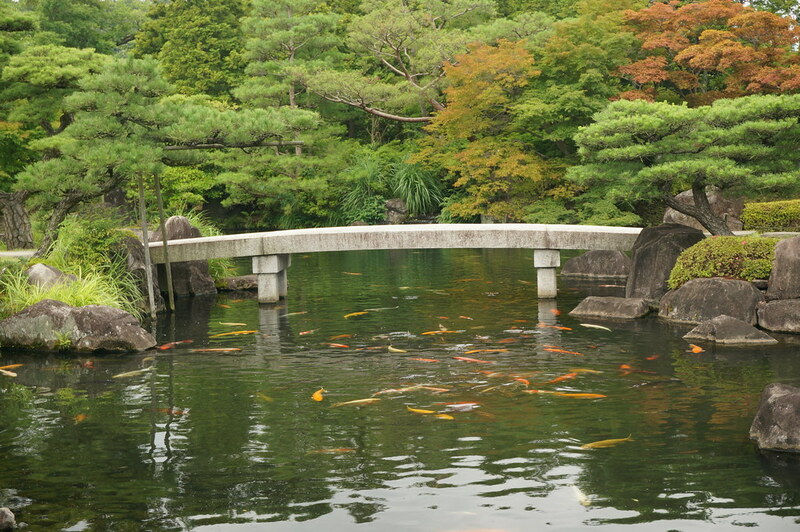 After the castle we went into the Koko-en Gardens a little further down the road. 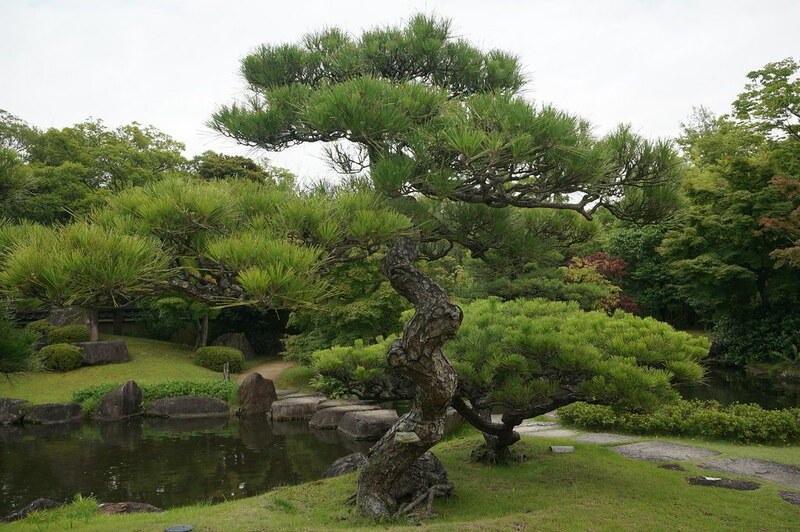 The gardens were large and split into many sections. Again, after China it was so nice to be able to wander in silent and almost empty gardens. They are far nicer than the Chinese gardens in terms of appearance and layout, but the most important thing is the peace and quiet. 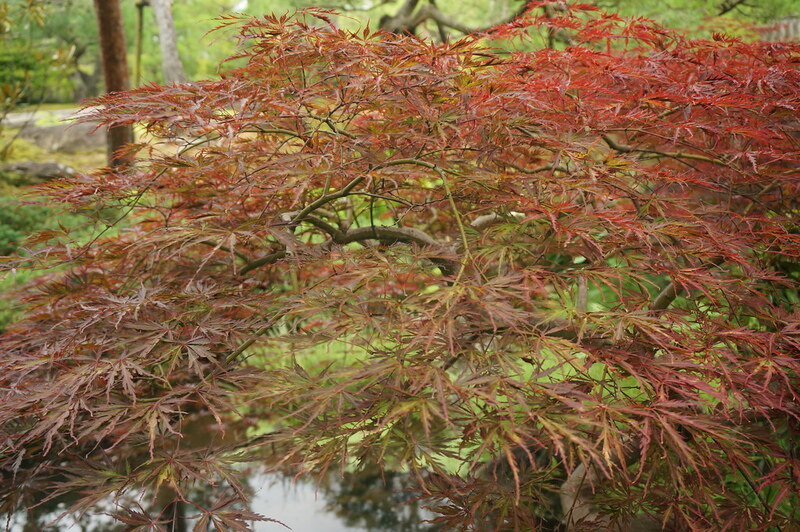 A garden is a place to relax and enjoy the tranquility. In China the overcrowding, shouting and constant selfie taking made that impossible. 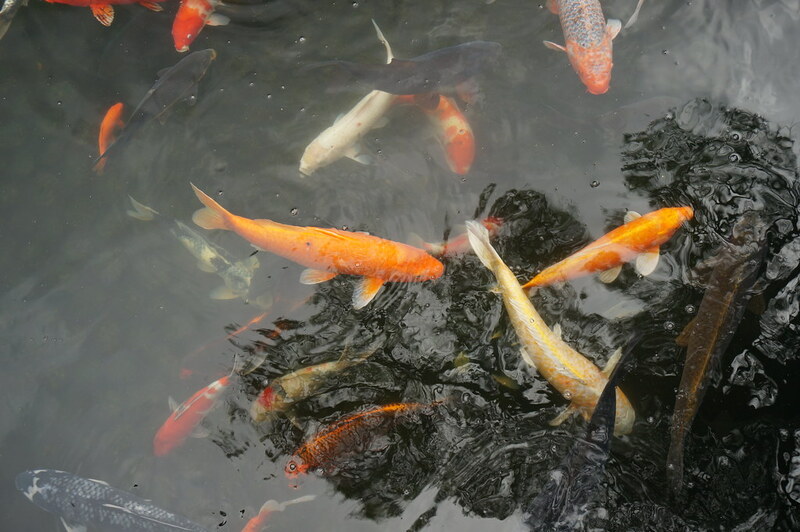 In Japan it is quiet and even if there are a few people they talk quietly. The hotel Annemarie booked had the evening meal included in the price. Not only was this cheaper than travelling on to Kyoto but we had food included. Perfect. The food was rice and curry and plenty of smaller side dishes. It tasted pretty good. And because this is Japan drinking water is always included with the meal (this is the same in all restaurants too), so no need to buy an expensive drink. Unlike the rest of Asia and most of Europe. 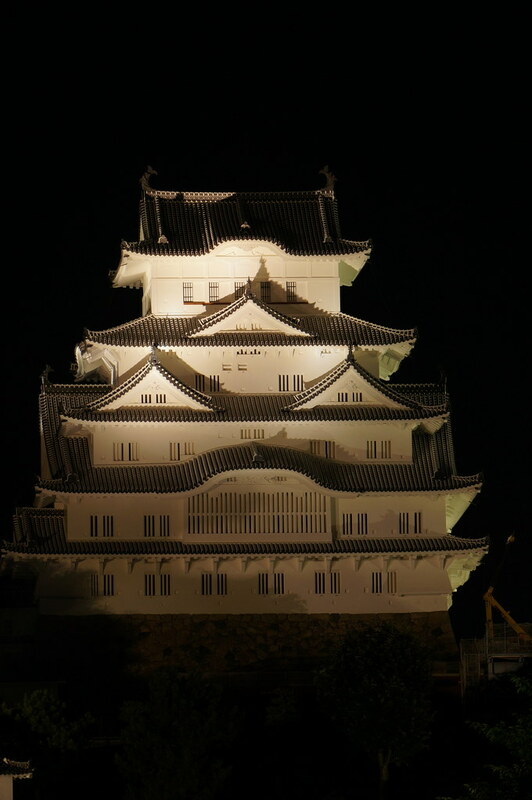 Posted from Himeji, Hyogo Prefecture, Japan. Japan sounds really nice and friendly and no rip-offs!